Former GB and Warrington Wolves player Scott Harrington has been announced as the assistant coach of the China women’s team. 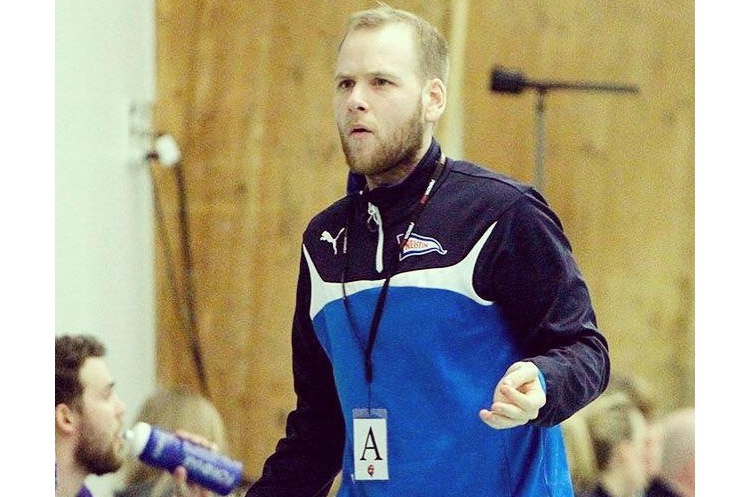 Scott - who also spent two years as National Performance Manager at England Handball, and coached the GB under-21 side - moves to China after impressing as coach of the Faroe Islands women’s team. He will join the China team on a three-year contract following the Faroe Islands’ European Championship qualifiers against Serbia and Sweden. Scott will come up against Serbia again at the Women’s World Championships in December where they and China are in a group with Germany and the Netherlands. It will be the first time a British coach has coached at a World Championships finals. China are also taking part in the 2018 Asian Games and bidding to qualify for the Olympics. Speaking about the role Scott, 29 said: “The challenge doesn't get bigger than this. I'm diving in at the deep end with this role but it's one I feel I'm ready for after a successful period with the Faroese National team. Scott’s appointment is another example of how British handball is starting to impact on a world stage. Last season Josh da Silva, who came through the England Handball talent pathway, signed for top Portuguese side AC Fafe. In Norway, 2012 Team GB Handball captain Ciaran Williams is making great strides as a coach, as was recently appointed GB Men’s Under-18 coach. In addition a number of the GB women’s team, such as Kathryn Fudge and Zoe Van Der Weel play in Europe.